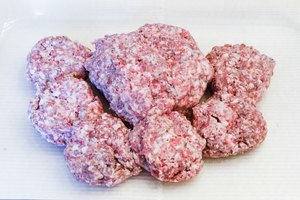 Ground beef is versatile and convenient, but you can't make a last-minute meal if it's frozen solid. 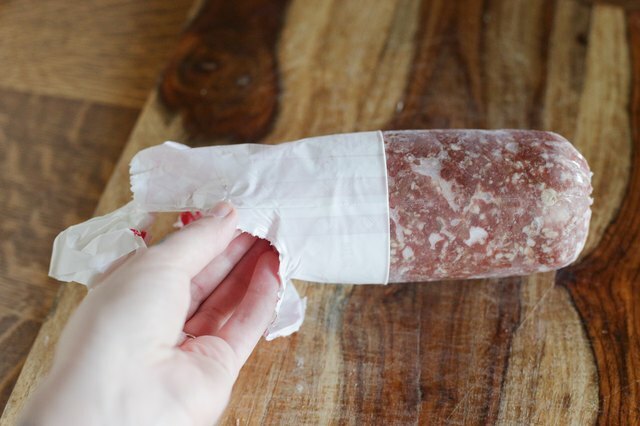 It's safest to thaw any type of beef -- including ground -- in your refrigerator, but because it takes at least eight hours, even for 1/2 pound of ground beef, it's not always practical. 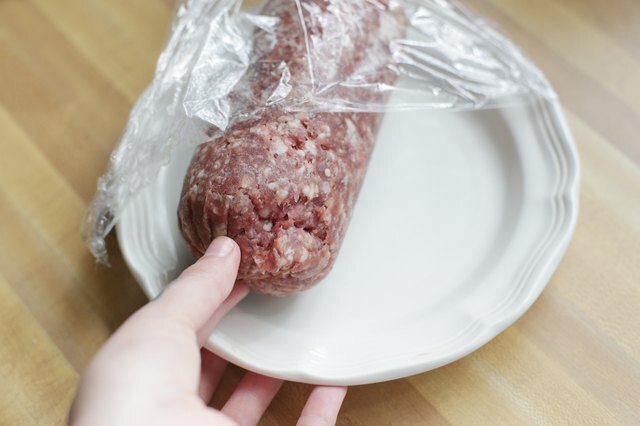 If you're short on time, thaw the ground beef in the microwave, but cook and eat the meat right away to avoid the risk of foodborne illness. 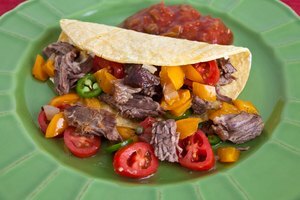 Take the beef out of all its packaging, including any original store packaging. 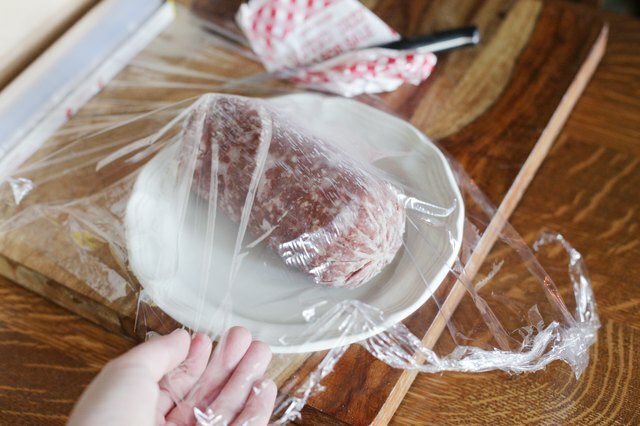 Place the frozen ground beef on a microwave-safe plate and cover it loosely with microwave-safe plastic wrap. Microwave the ground beef on the "Thaw" or "Defrost" setting for the amount of time recommended for that weight of meat. 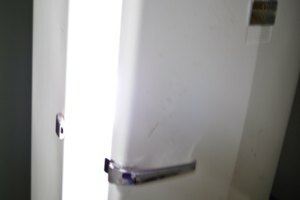 If your microwave does not have a "Defrost" setting, use a 20- to 30-percent power setting for approximately 8 to 10 minutes for each 1 pound of meat. Check the beef frequently as it thaws. Break it into smaller pieces to help it defrost more evenly, unless it's already in patties. 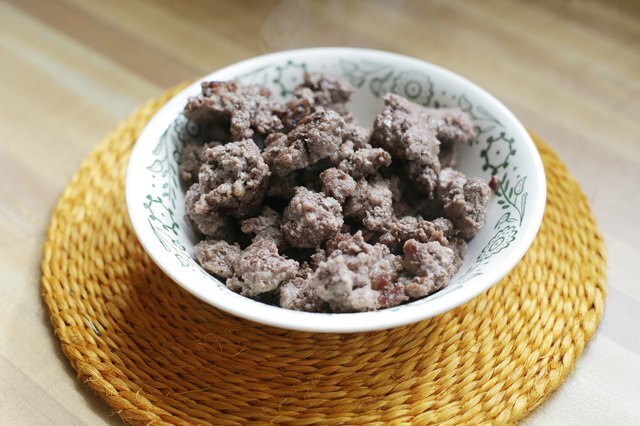 Take the ground beef out of the microwave as soon as it is fully thawed. Cook it immediately. Cook ground beef to an internal temperature of 160 degrees Fahrenheit. 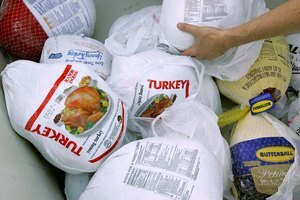 Do not refreeze meat that you've thawed in the microwave.